Swiss surrealist artist H. R. Giger is credited with designing the Alien (née Xenomorph) from the iconic movies and games. The character appeared in a 1976 work by Giger. But could it be actually much older than that? That’s what one internet user named Zhao is claiming in China. This painting, Zhao blogs, was allegedly discovered at a Beijing flea market and is believed to be the work of influential Chinese artist Qi Baishi. Perhaps because China is often accused of stealing intellectual property, a cottage industry has sprouted up, with folks in China saying Western inventions are Chinese knock offs (take this Men in Black 3 claim). Then, there’s the bit about people making crap up on the internet. Baishi died in 1957, and if this is indeed his work, that would mean his “alien” was created well before Giger’s painting Necronom IV (below) was completed. Zhao’s original post on Chinese microblogging site Weibo was uploaded in late December, and it now has well over six thousand comments. 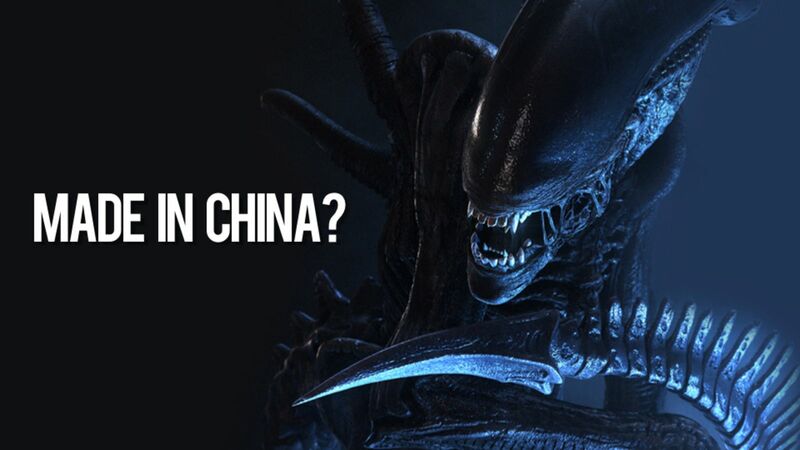 Some say that the allegedBaishi work was the uncredited source for the Xenomorph design. Others in China say this is a hoax. And then there are those who just want to believe. But is this art even real? Biashi was noted for his fine brushwork, but much of his work focuses on flowers, insects, animals, and sea creatures like shrimp.